We’ve all been stung by people who have spoken too soon or gossiped about us. We’ve felt the pain of degrading words filled with anger and wrath. We’ve been the target of jokes and ridicules. We’ve also known the joys of receiving compliments and encouragements, as well as experiencing delight in meaningful conversations and familial fellowship. We know firsthand that words carry a lot of power, having the ability to lift us up or pull us down. At the same time, we also know that a lofty praise is not always good for our soul, just as a harsh rebuke can be beneficial for us. As we grow in understanding and wisdom, we begin to realize that wise words are not simply what we say, but a combination of what we say, when we say it, and how we present it. Let’s take Nathan and David for example. After David had committed adultery with Bathsheba, Nathan was given the task from God to confront David about his sin. Rather than yelling at him in anger (possibly causing David to be defensive), Nathan, with the wisdom of God, presented a story that represented the sin that David had committed. Rather than being defensive, David repented of his sin. There is wisdom in not only knowing what to say, but when to say it and how to present it; that wisdom comes from God alone. As we head into another week, think before you speak. Ask God to give you wisdom in the words that you say, knowing full well that your words carry much weight and power. 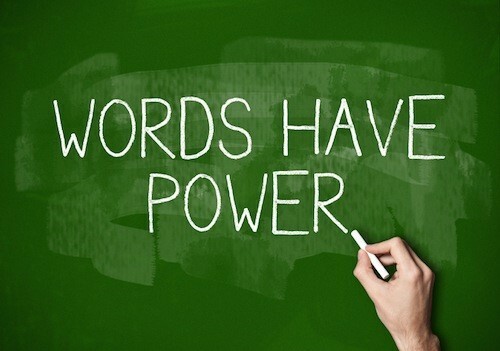 Your words have the ability to lift someone’s spirit or ruin someone’s day. They have the ability to bring life or death. May His wisdom rest upon you this coming week, as you tame your tongue to be one that glorifies Jesus. Prayer: Heavenly Father, I ask for wisdom and your Spirit to fill me so that my speech patterns will edify and build up those around me. Amen.